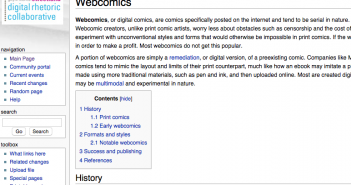 Happy Wiki Wednesday! This week we’re shining a spotlight on a unique section of the DRC Wiki: Threshold Concepts in Digital Rhetoric. This section outlines and introduces a number of important concepts, and provides a number of resources for both teaching and scholarship. As a scholar in digital rhetorics, I appreciate how this section calls attention to the unique disciplinary knowledge we can claim, as well as the opportunities for expanding the conceptual and intellectual parameters of the field. 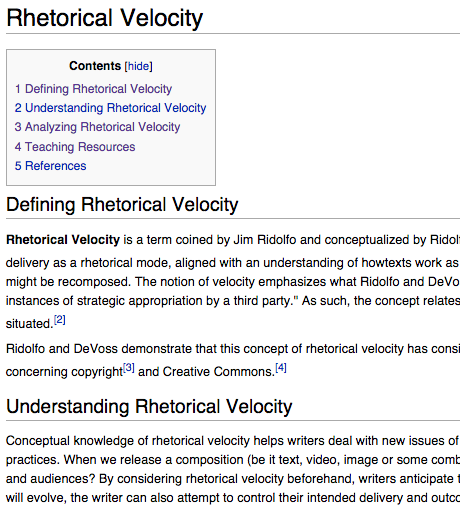 One of the most well-developed entries in this section is an article on “Rhetorical Velocity,” what Jim Ridolfo and Danielle Nicole DeVoss have defined as “a strategic approach to composing for rhetorical delivery…. 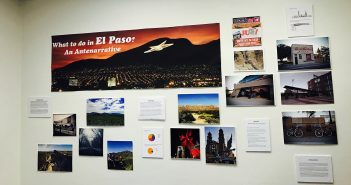 both [as]a way of considering delivery as a rhetorical mode, aligned with an understanding of how texts work as a component of a strategy.” Check out the article to learn more about this concept. While the entry on “Rhetorical Velocity” is fairly well developed, the section on “Threshold Concepts:” includes a good number of entries that need development, as well as space for entries that aren’t yet listed. Remember that a title in red indicates that entry has not yet been created. So there are plenty of opportunities for students or others in the field to research and share their knowledge. 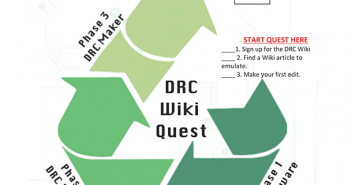 Remember, the DRC Wiki is a work-in-progress. We want your help! Sign up to start editing the Wiki today!